Hello and welcome to Seneca! 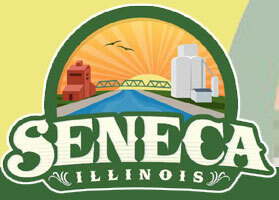 Seneca has a variety of amenities to offer when considering to locate here. The Village is approximately one hour from downtown Chicago or both Chicago O'Hare and Midway airports. The Seneca I80 interchange, exit 105 was updated recently to accomodate transportation needs. Interstate 80 is a few minutes from Seneca, and Seneca is approximately 32 miles from Interstate 39 and 21 miles from the I55 interchange. Currently, plans are to create additional through travel lanes on US Route 6 and major intersection improvements. As you can see from the industry listed below, Seneca is a development friendly community that offers rail to river transfer. When working with developers, Village officials consider project needs, and realize that each project has different facets. TIF 1 and TIF 2 were designated in 2003 under the authority of the Industrial Jobs Recovery Law (IJRL) based upon the Village's higher unemployment rate (at the time). The IJRL TIFs are in place for a maximum term of 23 years and similar to other TIF districts capture the growth in taxes resulting from increased development or value in the TIF. Only industrial and related commercial development is allowed under the TIF plan (no residential). One redevelopment agreement was approved early on, but the status is now under review. TIF revenues are shared between the Village and the one project. Biewer Lumber manufactures and distributes products for a wide range of building applications in construction markets. This Seneca company is committed to upgrading their equipment and operating systems in their facility to be responsive to new market trends. 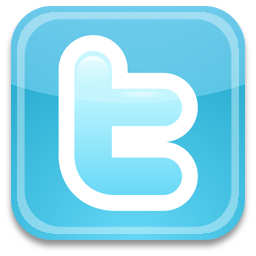 Horizon Wind Energy develops, constructs, owns and operates wind farms throught the United States. Information relating to the Top Crop Wind Farm can be reviewed by visiting their website listed below. The LaSalle Generating station is built on a 3,055 acre site and has approximately 800 employees. Its Units 1 & 2 began commercial operation in 1982 and 1984; Unit 1 is capable of generating 1,138 net megawatts, while Unit 2 is capable of generating 1,150 net megawatts. Together the units can produce enough power to support the electricity needs of more than two million average American homes. Invenergy is the largest independent wind developer in the United States. A total of 166 turbines were built that generate clean renewable energy. For more information, please visit the website below. Renewable Energy Group (REG) is a leading biodiesel manufacturer and marketer in the U.S. and North America's largest biodiesel company. Renewable Energy Group is a leader in the biodiesel industry by offering a complete biodiesel solution. Committed to redefining quality, Renewable Energy Group markets REG-9000 biodiesel, which exceeds ASTM quality specifications, through existing nationwide diesel infrastructure, including more than 20 terminal locations. REG-9000 biodiesel is marketed through large petroleum companies and fuel distributors, and is utilized by on-highway fleets, municipalities, and power generator, mining, military, home heating and agriculture applications. REG-9000 biodiesel is produced by REG network production facilities consisting of state-of-the-art, proprietary multiple-feedstock technology. Renewable Energy Group offers procurement and risk management, production operations, and technology services in addition to alternative feedstock research and commercialization. Pipe & Piling Supplies, Ltd. Pipe & Piling Supplies, Ltd. is a major producer and supplier of steel pipe and one of the largest distributors of steel piping. The Seneca Shipyard Industrial Park is comprised of approximately 185 acres zoned industrial, all of which are within a TIF District. This property includes a mile & a half of frontage on the Illinois River. Old Stage Industrial Park is comprised of approximately 85 acres also zoned industrial and in a TIF District as well. This property includes one half mile of frontage on the Illinois River. Bulk barge loading and unloading capability, rail to truck transfer equipment, cranes to 200 tons, 12,000 linear feet of rail, heavy duty fork lifts and a 100,000 lb. truck scale are available services within the District. 520 E. SHipyard Road, Seneca (815) 357-6721 Products handled: Salt, coal, grain products, dry fertilizer, steel, dry and packaged goods. Storage: Open, 100 acres, covered dry bulk, 65,000 tons. Barges Handled: 3 worked; 2 held Handling facilities: Cranes to 100 tons, bucket, 4 yd, inbound 400 tph, outbound 1,100 tph. Operations: 6 days a week, 10 hours a day; connections: CSX switch boats available. Located in TIF District, will build to suit.